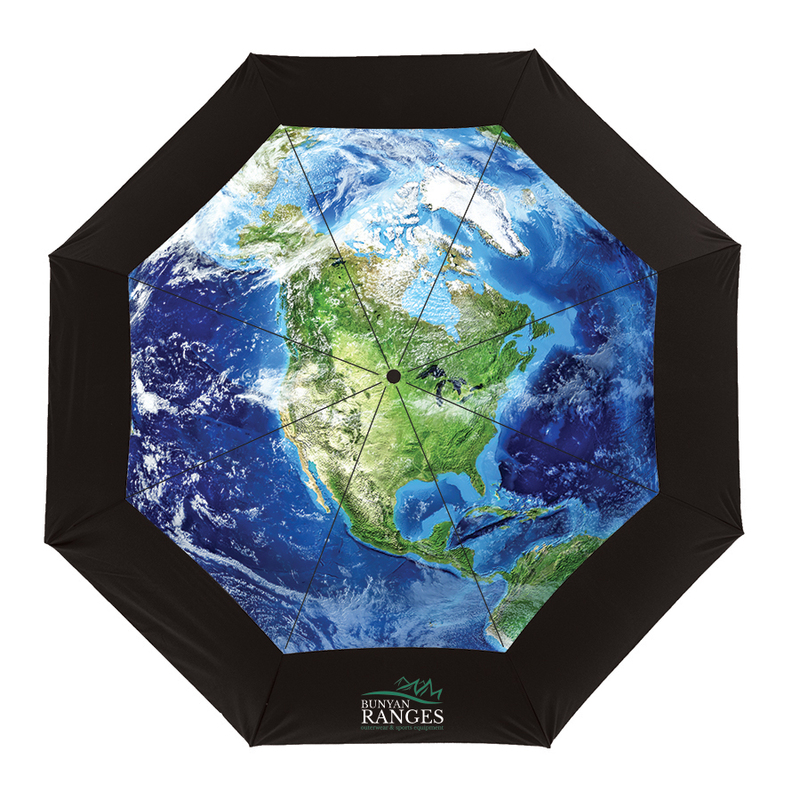 Each panel of the umbrella’s canopy contains a wind venting passage that allows strong winds to pass through and minimizes potential wind breakage to the umbrella’s frame. 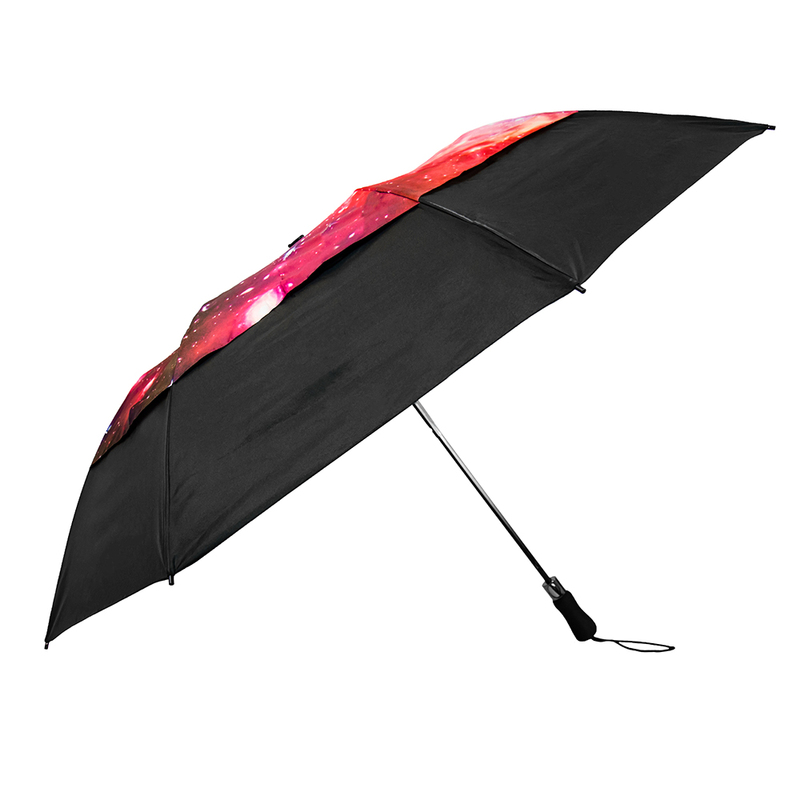 An out-of-this-world full-color image of outer space is featured on the upper canopy wind vent of the Galaxy Umbrella. 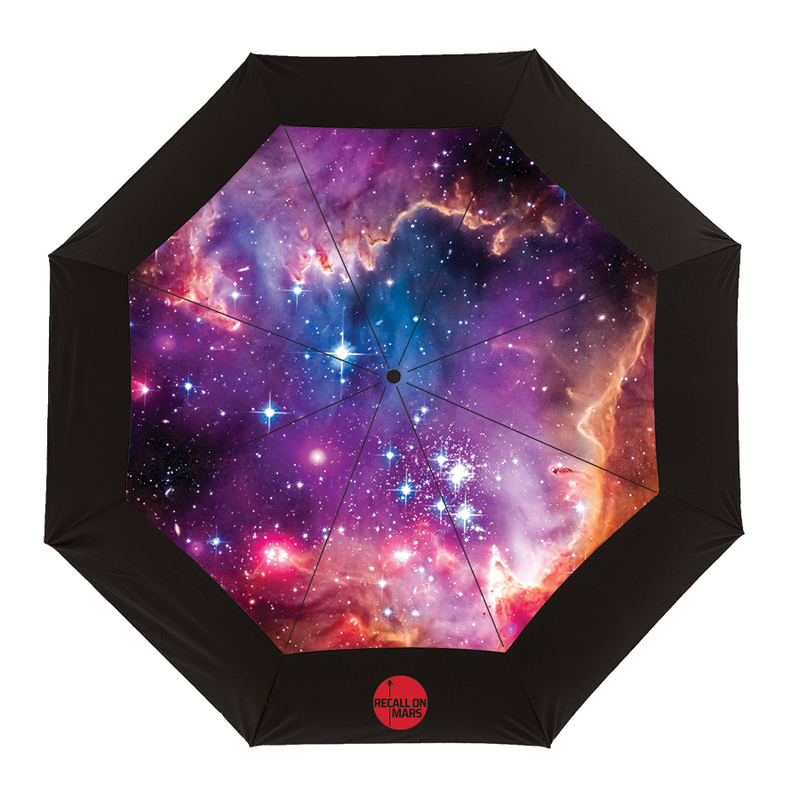 This extra-large 58" arc umbrella provides coverage when rain clouds obscure the stars! This is one of three styles from our Thematic series, which also includes Earth and Rainforest designs. In all styles, the black lower panels provide a striking contrast, making the images really pop. Convenient automatic-opening feature, with fiberglass ribs and extra strong six-sided black metal shaft. Comfortable foam handle with wrist strap. Folds to 22" when closed. 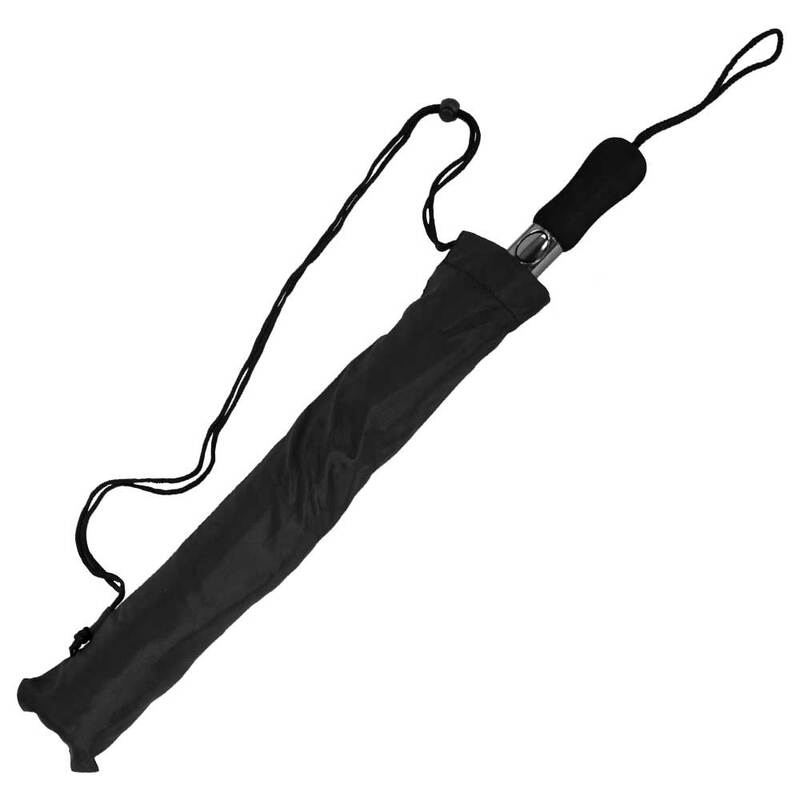 Includes black fabric case with shoulder strap.